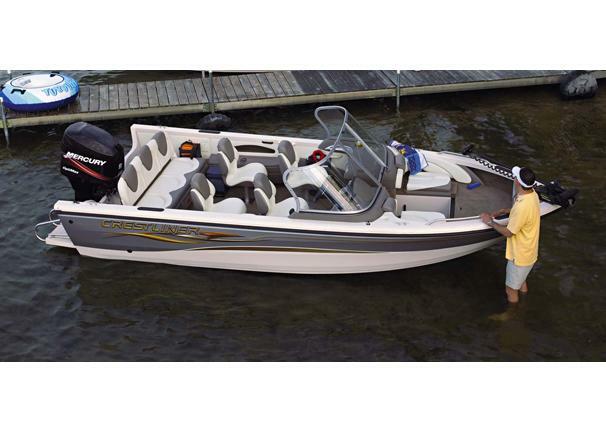 Boat Description The Crestliner Sportfish 1850 OB is a family fishing boat and so much more. The conversion bow instantly switches between fishing and cruising modes. This rig includes four Pro-Form II fishing chairs, two large livewells, AM/FM/Cassette stereo with four speakers and a UniWeld hull with a `Lifetime+3` Protection Plan.